It’s advisable to check your credit report at least once a year to gain an understanding of how your credit score appears to your creditors. The thing is, when we do check our reports, we have trouble making sense of it. So how do you read a credit report? There are four main parts to a credit report. Your personal profile, credit history, public records and inquiries. Read over each section of the report and scan it for errors. 1. Personal Profile – Your personal profile contains all your basic information such as your name, address, birth date, social security numbers, and previous addresses and employers. Misspelling of your name can be common when creditors record your name wrong. However, it is important to check if there is any discrepancy in address as this can alert you of a possible identity theft. 2.	Credit History – This is where you can find an itemized list of your current and past accounts, including balances and arrears. You will find the name of the creditor and account number for each bill. There will also be a column that identifies the nature of the account such as individual, joint, authorized user, terminated, and others. Other information such as the history of the account may also be seen. This part of the report will show whether you have a high credit limit and it also indicates the number of installments you have left for any loan. The balance remaining on the account, any due amounts, and the status of accounts will be noted. Creditors will also check whether you have more revolving accounts than installment accounts. Revolving accounts is one wherein there is no fixed ending date to the debt. Installment accounts are when there are fixed payment and a specific ending date. Revolving debts are less attractive to creditors and will not help build your credit. 3. Public Records – This report contains records that will also be seen in local, state and federal courts. This shows whether you have declared bankruptcy, have tax liens and other monetary cases. Even overdue child support records may be included. Public records will remain with your credit score for seven to ten years and can be a negative blow against your credit score. 4. Inquiry – Inquiries are classified between hard or soft. Hard inquiries are those initiated by you, while soft inquiries may come from companies that wish to offer promotions on credit and current creditors that are monitoring your account. It is generally not advisable to have too many creditors view your credit report as the frequency of inquiries can appear as a negative to some lenders. 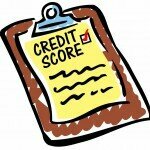 Finally, your credit score may be seen in your report. This score will determine whether an individual will qualify for a loan or not. High credit scores will mean better rates for the borrower, while lower rates can also leave the borrower subject to loan denial. Credit scores can range from 300 to 850. Now would be a good time to seal that loan when it comes to getting a fixed mortgage. The average rate for 30 year fixed mortgage and refinance rates are down at 4.77%, comparing to last week’s 4.81%. 15 year mortgages are averaging this week at 4.08%, down from last week’s 4.11%. 30 year jumbo rates are going low at 5.29%, with last week at 5.35%. 15 year jumbo rates are averaging at 4.71%, .07 points down from the prior week’s average of 4.78%. If fixed mortgage rate borrowers are rejoicing at the drop of rates, those who already have an adjustable rate mortgage can’t say the same. Current refinancing and mortgage rate on 1 year ARM’s are at an average of 3.14 %, just a tiny bit higher from last week’s rate of 3.13%. 3 year ARM’s are experiencing a higher jump, going at 3.47%, compared to last week’s 3.37%. 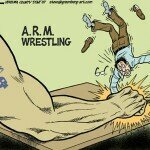 5 year ARM’s are now at 3.18%, the only ARM rate that’s down this week, compared to last week’s 3.24%. 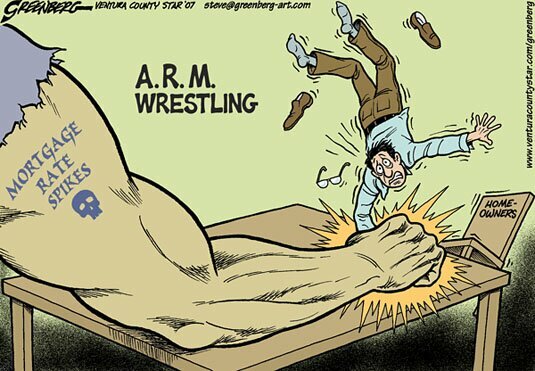 10 year ARM’s are also going down with 4.18%, with the previous week at 4.22%. Interest only adjustable mortgage loan rates trend is variable with the loan term. 3 year interest only rates are up from 3.51% to 3.57% this week, while 5 year interest only ARM’s are significantly down from 3.48% to 3.29%. 7 year interest only ARM’s are also down from 3.95% to 3.75% this week. 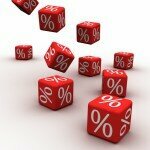 Fixed rate mortgages are good to go this week with a consistent drop in rates. ARM’s and interest only ARM’s are seeing a peak with short term mortgages such as 1-3 year loans, whereas longer terms are seeing a drop in rates. According to a poll from usnews.com, 70% of American consumers are in debt. The question is, are you one of them? Many consumers are now deep in debt, with not just one credit card, but with multiple credit lines. The sheer weight of it all are getting debt ridden credit card holders seeing doom as they struggle to keep up with monthly minimum payments. If you’re feeling hopeless about your debt, there’s still a way out of it. 1. 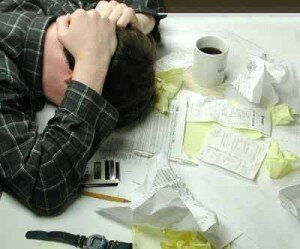 Set aside a certain amount of money to pay off the minimum balance of each credit card debt. If you can set aside more, then that would be better. 2. Check each debt you have and write down the amount due, and the minimum amount required. 3. Once you have your list, go through each one and calculate the loan that has the least Debt Cash Strain Factor (DF). 5. The debt that has the lowest number is the one you should pay off first. Let’s call it “Debt #1”. 6. Pool all of the money you have set aside for the minimum payments of your credit card debts and pay it all to debt #1. Don’t worry about not paying your other credit card debts, you will get back to them sooner than you think. 7. Since you have paid off more of debt #1, this will make your monthly interest payments lower and you will quickly be able to pay it all off. 8. After paying off debt #1 completely, use the same amount of money (or more) you set aside every month to pay off debt #2. 9. Repeat the process until you pay off all of your debts. Paying off only the minimum balance will take you forever to get rid of that debt. This is because you’re only paying the interest and not putting anything in the principal. With this system, you’ll be paying off the principal with each loan you decide to pay off first, ridding you of the loan burden one by one. And if you’re really deep into financial trouble and you’re not able to shell out the money needed for minimum payments, that’s the time when you need to make significant lifestyle changes such as cutting down on expenses. One thing to remember with ridding yourself of debt is to set up a system, and forget about it. Leaving your mind open to positive influences and a money generating mindset. Jumbo CD rates aren’t called jumbo for nothing. The minimum investment amount for this type of certificate of deposit is usually around $100,000.00. If you’re an individual who prefers to invest large sums of money in certificates of deposit, jumbo CD rates would be a good choice. This is also the type of CD companies invest in due to the large amount it can accommodate. Rates can vary among different banks and the length of time you intend to keep the money in the CD. Aside from checking the interest rate, taking note of the APY or annual percentage yield is also a good indicator of how much you will really be getting at the specified time. Here is a list of the best jumbo CD rates from different institutions, including the best rate for varied time frames. These rates in each time category are by far the best in jumbo CD rates as of the month of March. One thing to note with any type of interest earning vehicle is to check the number of times the interest is compounded. The more often it’s compounded, the more money you can earn. The best deals are from Nexity Bank, Transportation Alliance Bank and Nationwide bank for giving out daily compounded interest at such high rates. Banks are in the business of making money out of your money. Whenever a depositor puts cash in his account, banks invest this in other vehicles and give the depositor back a small portion of the earnings. With the tiny amount of interest banks are giving out for savings accounts, it’s only natural that we demand the best service. 1. 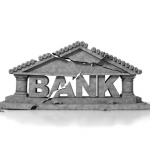 FDIC Insurance – Banks can close. 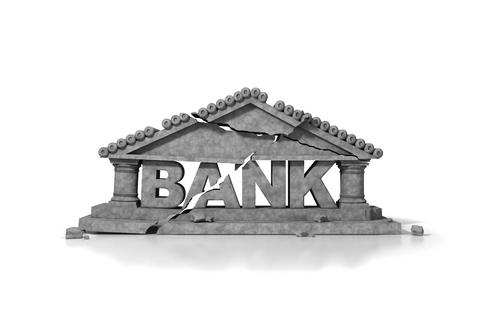 This has become evident during the financial crisis when in 2008, twenty-five banks were shut down and taken over by the Federal Deposit Insurance Corporation. Banks that are FDIC insured can guarantee every account up to $250,000. If your bank closes, at least you know you’ll be getting your money back and it won’t be lost in the wind. 2. Low To None Minimum Requirements – Having low to none minimum requirements can be especially useful for ATMS. This means that even if you’re hard on cash, you can withdraw as much as you need without fear of being charged extra for going below the minimum requirement. 3. High Return on Investment – Look for a bank that gives high CD rates, checking account and savings account rates. Usually, local and smaller banks give bigger rates since they are still trying to get depositors to invest with them. If you’re looking for growth of your money, check your local banks. 4. Low Loan Rates – Availing of loans can be advantageous whether you’re using it to buy a new home or car, or if you’re using it as leverage for your business. Whatever the case may be, having loan rates at rock bottom would always be the best scenario. 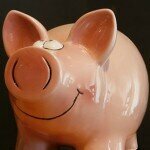 Check with your bank on interest rates on loans, their terms, and their flexibility. 5. Online banking – The world is fast changing and banking is keeping up with the change. Gone are the days when everyone had to go to the bank branches to deposit. Banking can now be done online or through mobile. Make sure your bank has these features, and also be sure to check on the reliability of their online security. 6. Numerous ATMS – Most banks charge a fee if you withdraw from another bank’s ATM. Having accessible ATMS of your bank can save you a lot of money in ATM charges. 7. Customer Service – The best way to know a bank is to ask its personnel. Bank staff and managers are key in finding out special promotions, inside information on foreclosures, and techniques to get the most out of your money. Also, time is money. If you’re in a rush and you need to close a deal or get quick cash, having excellent customer service will save you the headache. Don’t slack off in choosing the right bank. Once you’ve opened an account with one, it’s a chore to transfer to another when you’ve realized that bank is not for you. Money is essential to all of us, and it’s only right that we spend some time to double check. 30 year fixed rate mortgages from banks and financial institutions are already considered low when they’re at a 4.7 – 4.9% rate. However, BRINKS Financial Group can give you a mortgage rate for as low as 4.5%. BRINKS Financial is a division of GoldStar Financial Group and is located in Ann Arbor, Michigan. The company has been serving Ann Arbor for 15 years, and holds the lowest mortgage rates in the Ann Arbor area. BRINKS Financial Group also specializes in helping Michigan residents and Michigan first time home buyers. BRINKS financial group is experienced in helping home buyers take advantage of the $8000 tax credit, giving home buyers big savings on their first home purchase. Aside from providing friendly Ann Arbor Mortgages, BRINKS Financial also specializes in Novi mortgages, West Bloomfield mortgages, Rochester mortgages, and Grosse Pointe Mortgages. For those living in these areas, or who would like to relocate, BRINKS Financial Group provides an easy to navigate website where you can input your details to get to a mortgage rate that suits your profile. They have a section in their website called the Purchase Assistant, which is an online guide and fill up form where you can input your details based on the questions and choices that they post. The 4.5% 30 year fixed rate is based on a $200,000 loan with a 20% down payment computation. Mortgage rates will vary on the amount of loan you are planning to take, the amount of down payment you can afford, and the number of years you plan to finish payments. Whatever your situation is regarding the home loan you plan to take, BRINKS Financial Group can give you the lowest rates in the area. Aside from loans for purchasing a home, BRINKS Financial also offers loans for refinancing, and loans for consolidating debt. If you need mortgage help, their staff and experts are also available to give customer service and to answer questions when needed. Other institutions that also give low rates are Mortgages by Golden Rule, also at 4.5%, and Ameriplus Mortgage Corp. at 4.625%.